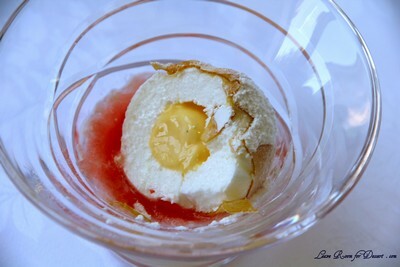 I saw a lot of dishes I would love to eat on MasterChef Australia last year. 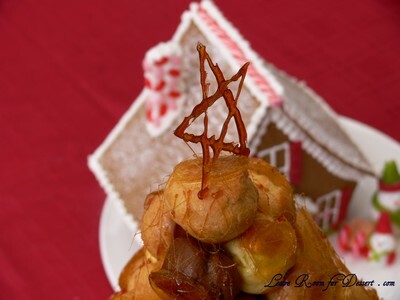 So far I have only managed to make this one, due to busy times at home. 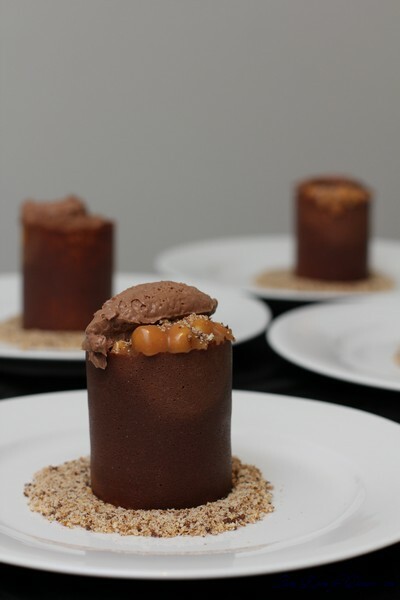 In previous years I have made some creations that took a full day or two to prepare, which in itself didn’t bother me, as I love experimenting and I love a challenge, although it does get harder to justify using all that time when priorities have changed. 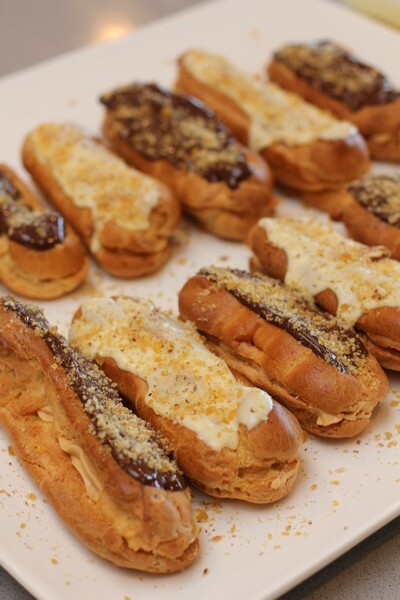 These eclairs were given great reviews from the judges, so much so that I questioned my go-to recipe for eclairs (a custard and cream eclair topped with dark chocolate, that I will need to post some day soon). 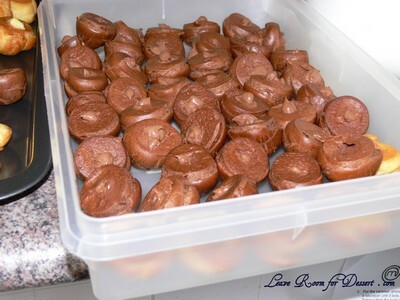 After making the filling for these ecalirs, my instant reaction was how sweet it was, which may or may not have been contributed to by the bought caramel rather than dulche de leche (which I couldn’t source and didn’t want to make). 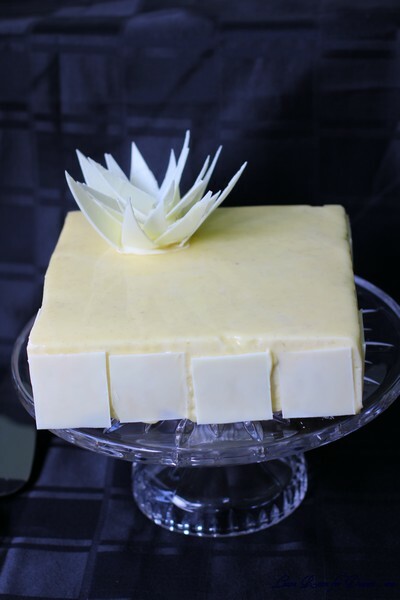 I decided to put dark chocolate on top of some, to cut some of the sweetness, and leave white chocolate on the other half, to try the original recipe and give an honest opinion on the recipe. 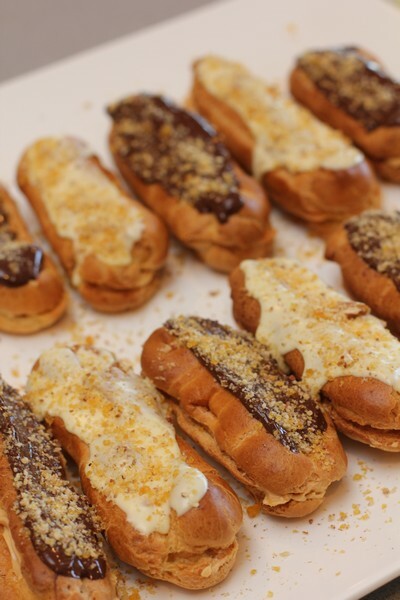 For the Eclairs, line a baking tray with baking paper and set aside. 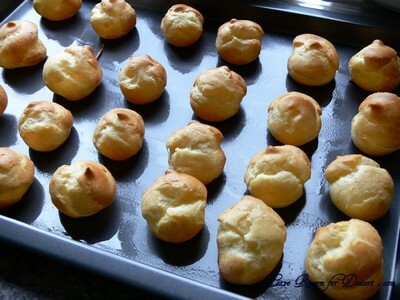 Make a choux pastry by placing milk, butter and ½ cup water into a saucepan over medium heat until butter is completely melted. 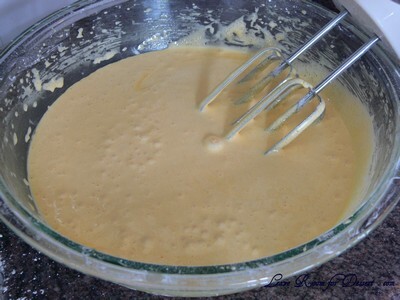 Add flour and mix vigorously with a wooden spoon until mixture forms a ball and pulls away from the sides of the saucepan. 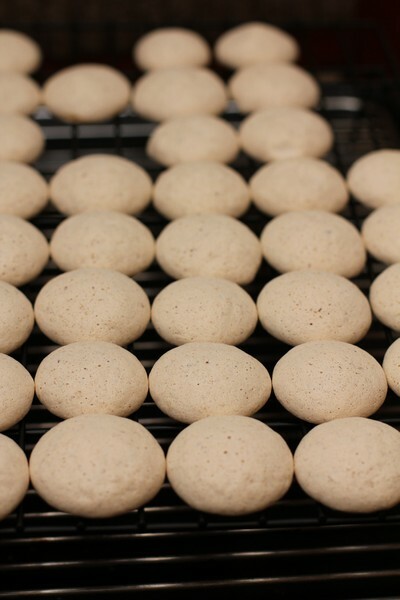 Transfer dough to a piping bag fitted with a wide tip and pipe onto the paper lined baking tray in 10 cm lengths. 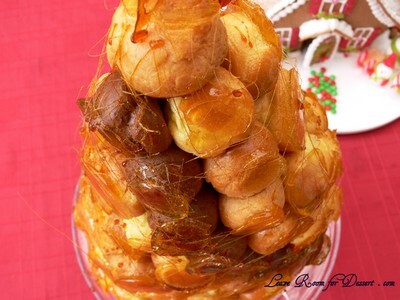 Use fingers to flick a little water over the choux to help create steam in the oven. 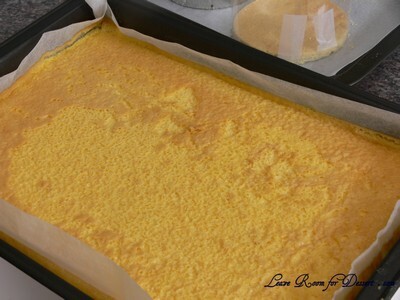 Place the tray into the oven and bake for 10 minutes. 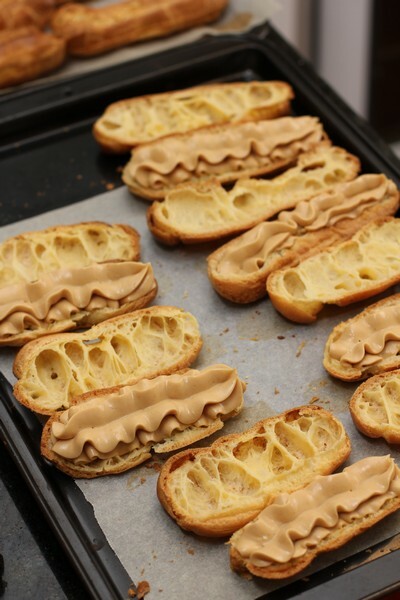 Remove from oven and pierce the sides of the eclairs with the tip of a sharp knife. 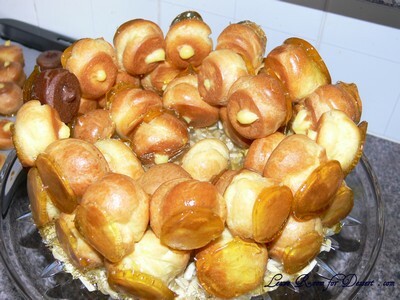 Reduce oven to 190C and bake until golden brown and cooked through, about 15 minutes. 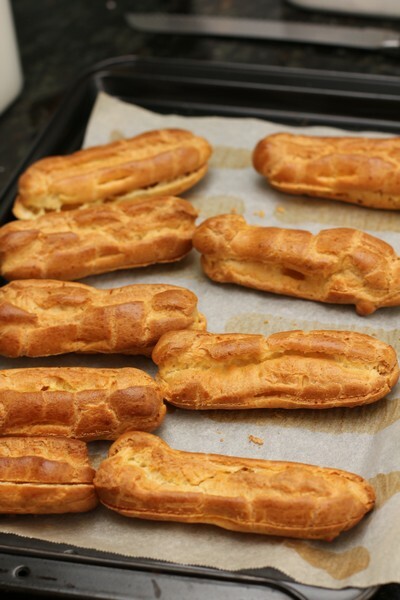 Remove from the oven and transfer eclairs to a cooling rack set over a baking tray and set aside to cool. 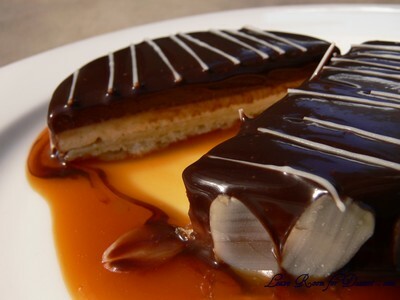 Once cooled, use a serrated knife to cut eclairs in half lengthways. 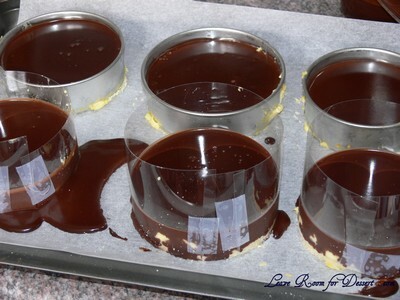 Turn top halves, cut side down, onto the cooling rack and set aside. 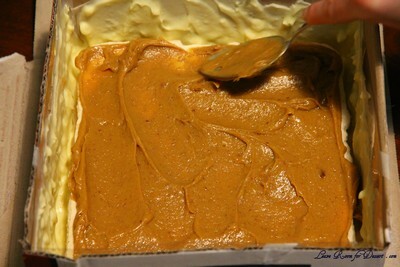 For the Cream Cheese Filling, combine dulce de leche and cream in a saucepan over a medium heat and bring to just under boiling point. 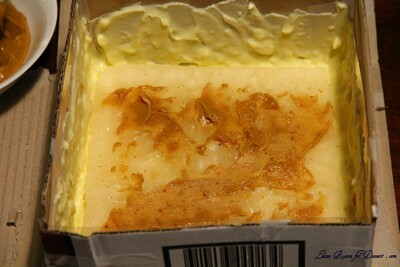 Remove from heat and add white chocolate. Stir well until smooth. 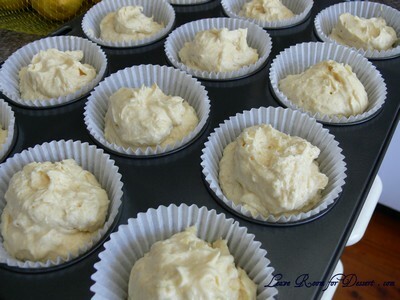 Place cream cheese and icing sugar in a stand mixer fitted with a whisk attachment and whisk until light and fluffy. 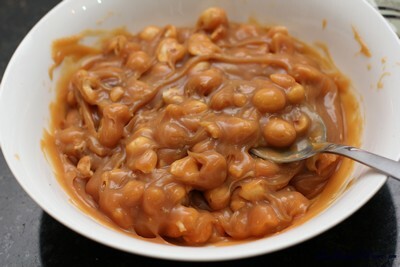 Reduce speed to low, add cooled dulce de leche mixture and whisk until combined. 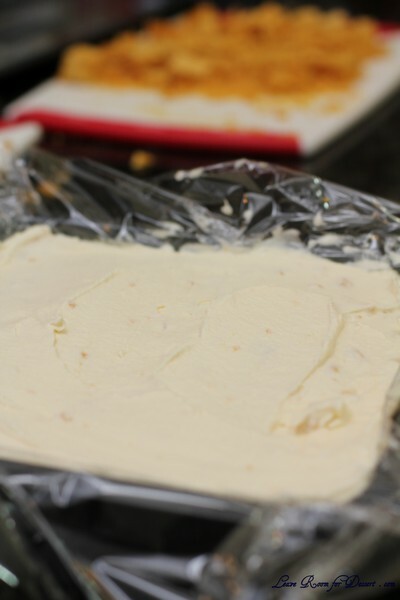 Transfer to a piping bag and set aside in the fridge. 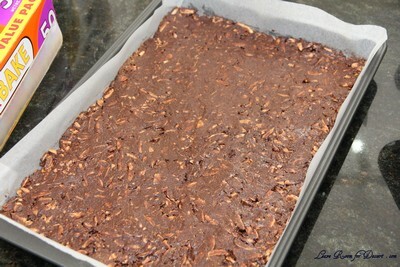 For the Pecan Praline, line a baking tray with baking paper. 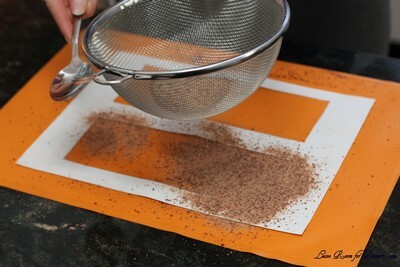 Spread pecans over the lined tray and roast in the oven until slightly golden, about 3-5 minutes. 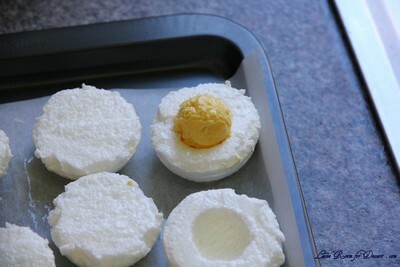 Remove from oven and set aside to cool. 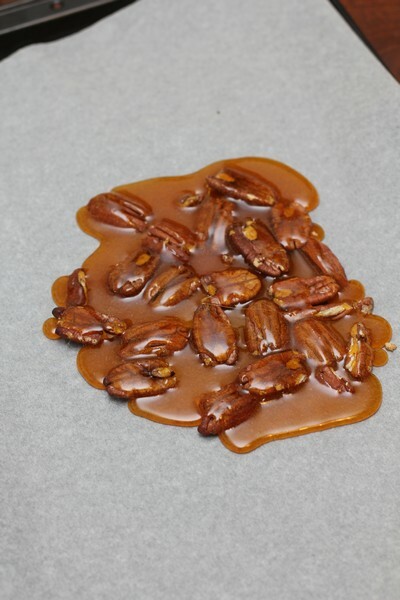 Meanwhile, melt sugar in a small frypan over low heat until amber in colour then pour immediately over roasted pecans and set aside to cool and completely set. 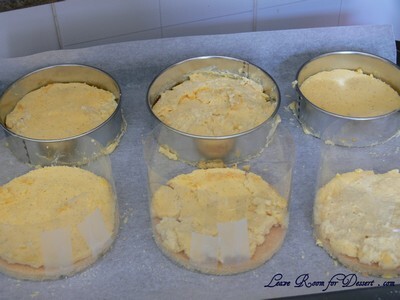 Once set, break into chunks then transfer to a food processor and blitz to a fine crumb. Set aside. 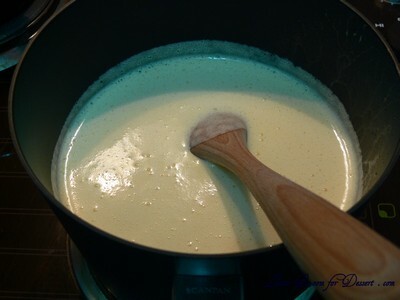 For the White Chocolate Topping, place white chocolate into a bowl and set over a saucepan of simmering water. 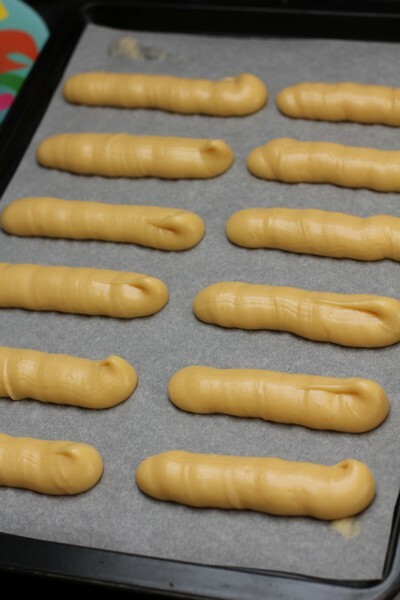 Stir until completely melted, then spread over the top halves of the reserved Eclairs. 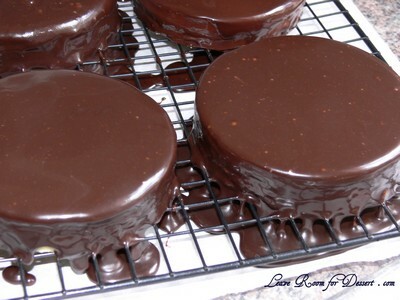 Tap the wire rack so that excess chocolate drips away. To serve, pipe some Cream Cheese Filling onto the bottom halves of the Eclairs. 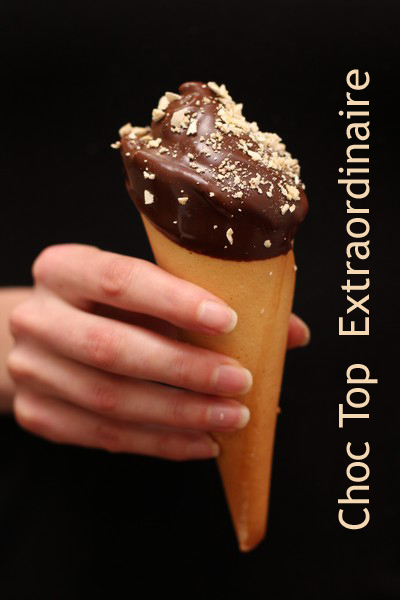 Top with the white chocolate coated top halves and sprinkle with Pecan Praline. I’m glad this months challenge is done! 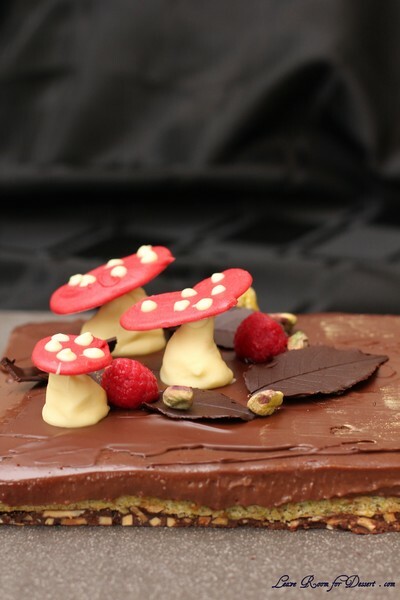 On Friday night, I spent a few hours, cooking, colouring, carving and icing the surprise cake for the daring bakers challenge. 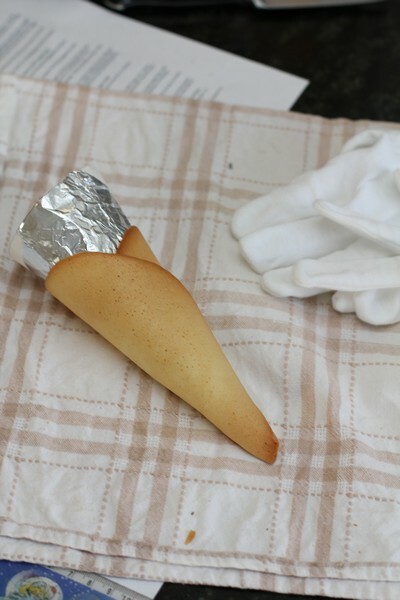 For a great tutorial on how to make the actual cake, please see this website. 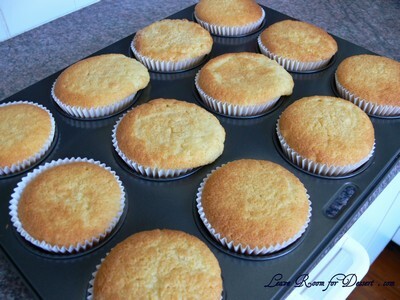 I didn’t want a huge cake (as I didn’t really have an event to make this for), so I made 2x quantity of cupcake mix, and cooked up a loaf tin plus a few cupcakes (which I coloured in varying pink shades). 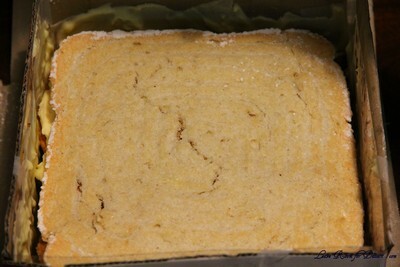 I placed both the loaf cake, and cupcakes in the freezer once they had cooled, so I could carve them better. 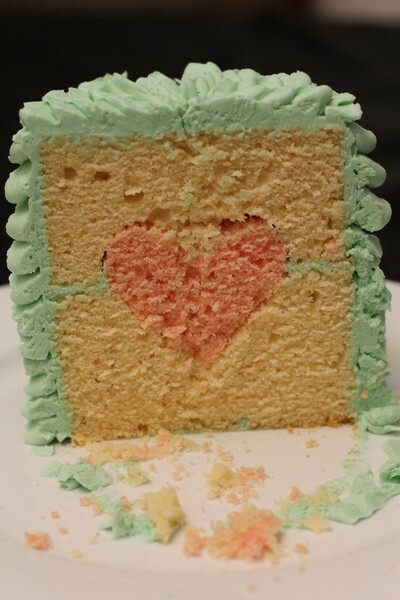 And once I had a 3D heart carved out of one of the cupcakes, I made the indents in both halves of the loaf tin (which I had cut with a circle cutter). 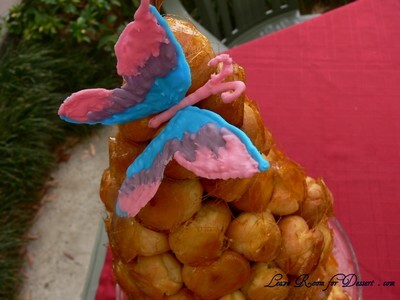 Creating the ruffles was the easy part! (there are heaps of tutorials on the web). 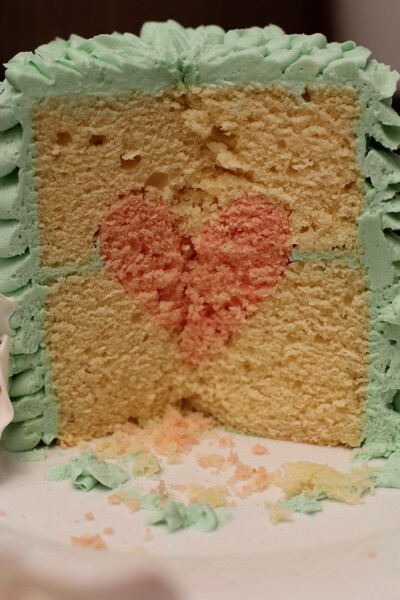 As much as I didn’t feel I had the energy to make the cake, I am glad I managed to make it. Challenge complete! Yes, that’s right. 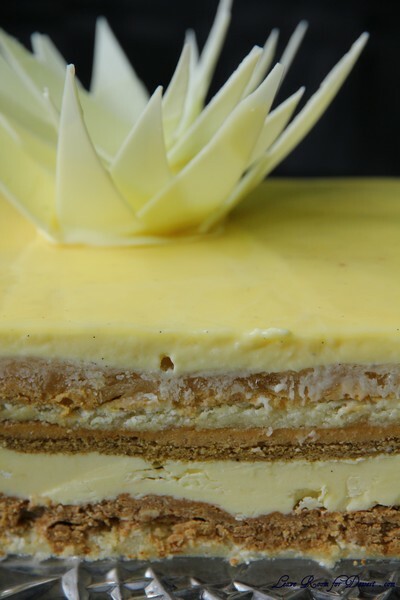 I decided to make Adriano Zumbo’s V8 cake. 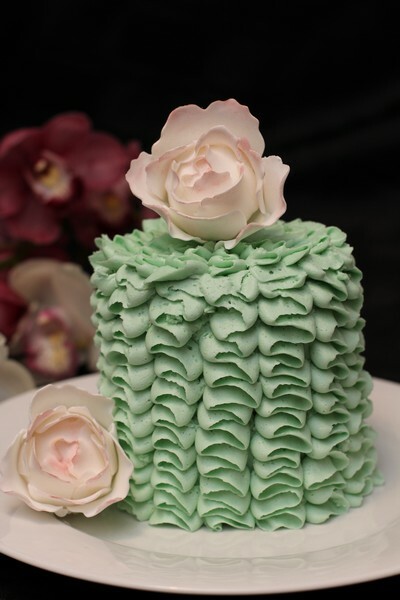 Not a car cake as might be thought by the name, but a gorgeous cake composed of eight different layers of vanilla. 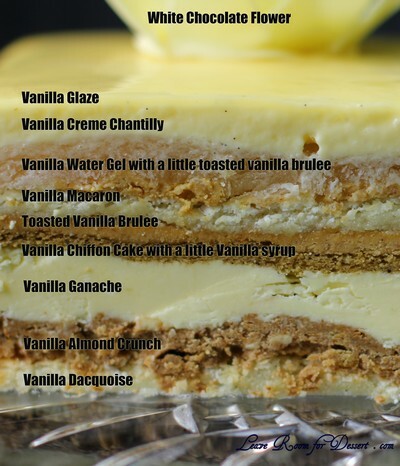 Vanilla crème chantilly, toasted vanilla brulee, vanilla water gel, vanilla glaze, vanilla ganache, vanilla macaron, vanilla dacquoise, vanilla chiffon cake, vanilla almond crunch… hmmm.. that’s 9 layers… oh well. 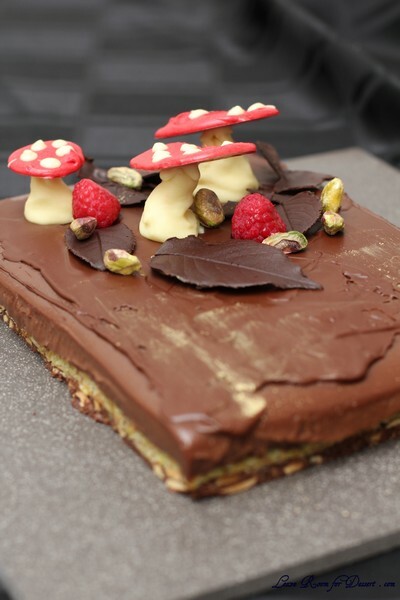 After the pressure test episode on MasterChef, I had loads of people coming up and asking whether I would be making the cake – with all of them hoping to get a chance to try it. 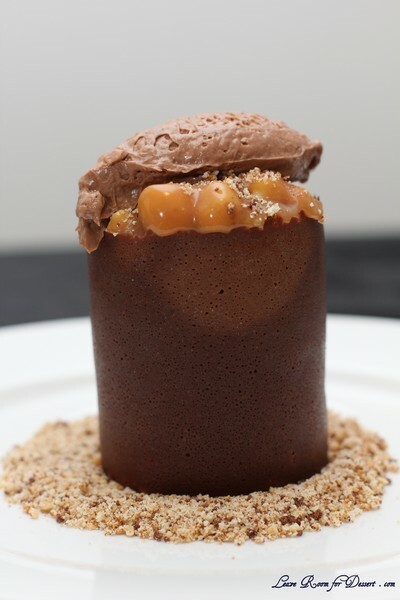 I haven’t made anything from this series of MasterChef, even though there was one other dish that looked very gorgeous and tasty. 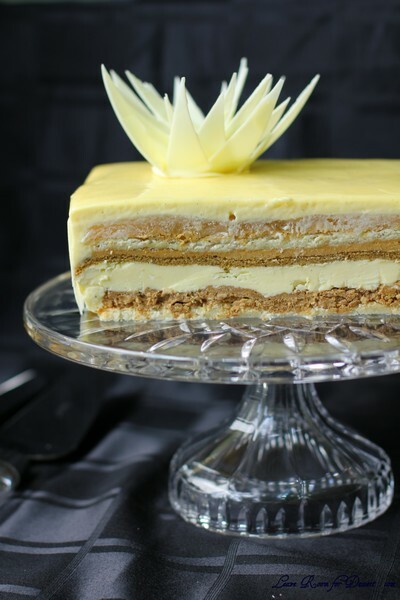 So, I decided to make this cake (unfortunately not using all the beans used here, and substituting vanilla essence for some – as they are quite expensive). 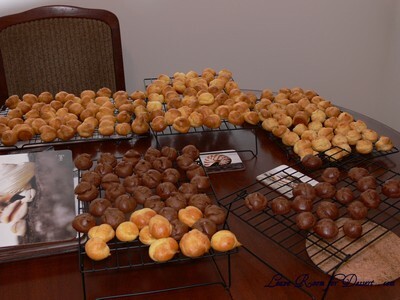 I also didn’t use any of the titanium dioxide in the glaze or chocolate. 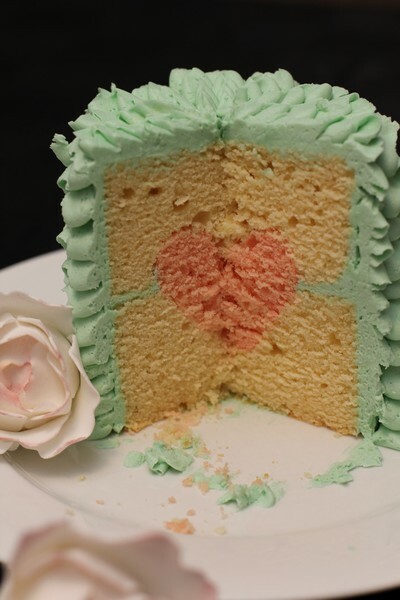 I know this would have made a gorgeous colour, but it would have been difficult to get a hold of, and I thought that 12.5g was a little large for the cake. 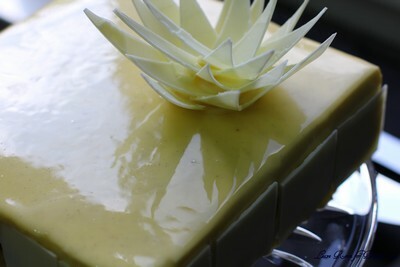 The cake still looked gorgeous, without the brilliant white look. 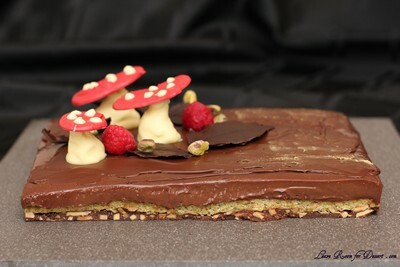 I am glad tonight’s episode is the last MasterChef, as hopefully I can get a bit of my time back – I haven’t been visiting people blogs, getting enough sleep, blogging as much as I’d like and experimenting with some of my own creations. 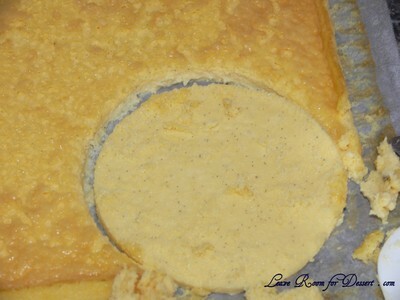 I didn’t use all the vanilla beans, due to expense. I used half the number here + vanilla essence. 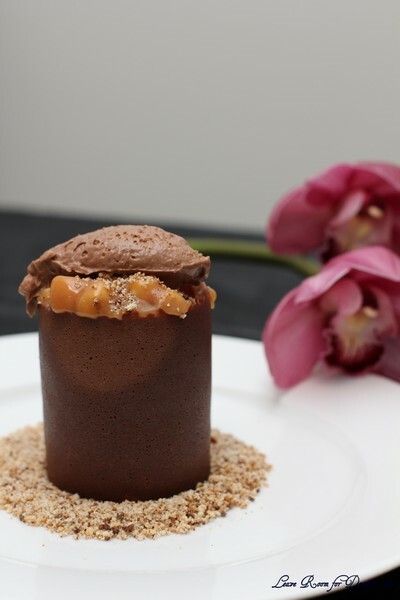 I made my own almond praline paste – not sure if it’s what it’s supposed to be like, the recipe is at the bottom of this page. 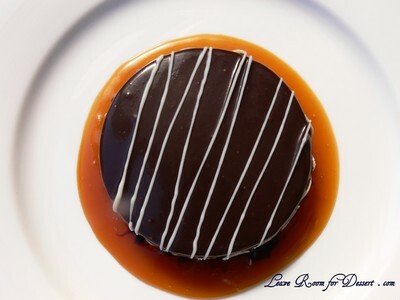 I made my own miroir glaze – this recipe is also at the end – it makes more than required (about 1/3 extra). 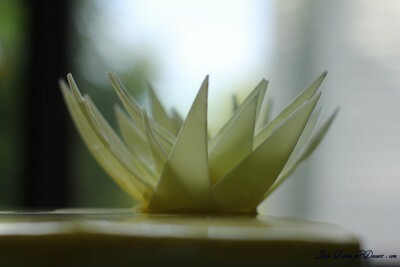 I didn’t use Titanium dioxide – the cake still looked gorgeous. 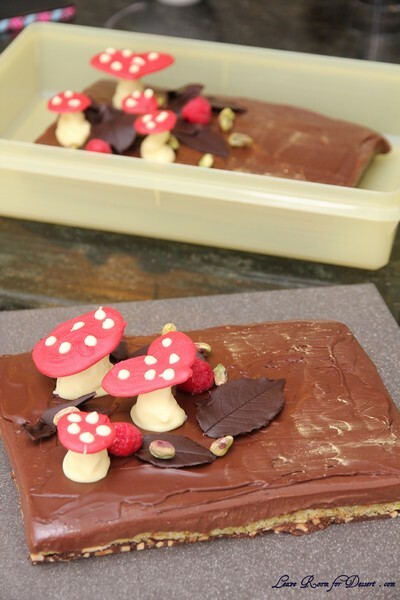 You can use projector sheets or sheets that cover the front of a book for acetate in this recipe. 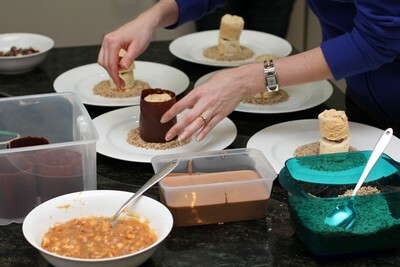 I thought the ganache was a bit more difficult to get smooth than more traditional ganaches (pouring hot cream over the chocolate). 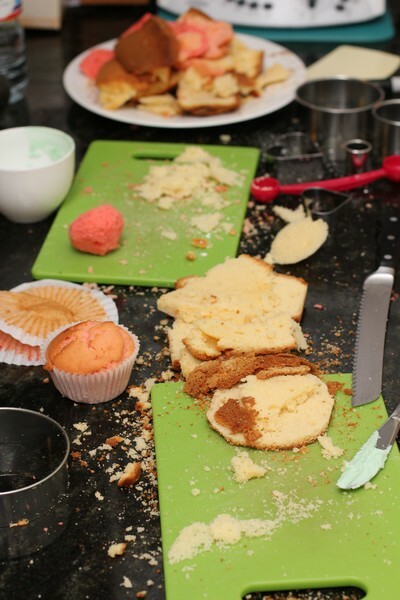 Although with lots of pressure from the food processor – it came together in the end. 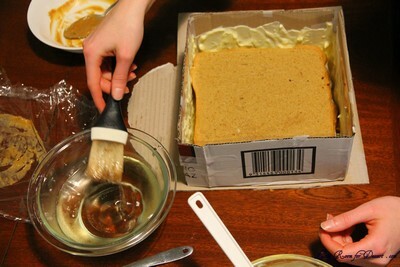 I would suggest cutting it up finely to begin with, otherwise cream goes everywhere. This also made around 1/3 too much I think. 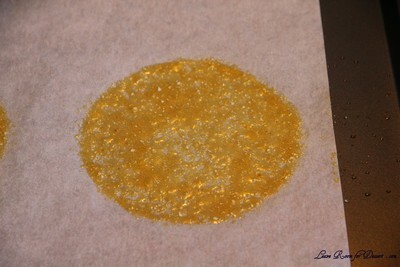 In place of the 1.5g gellanin the vanilla water gel, I used 2 sheets gold gelatine (4-5g) to get a jelly layer. 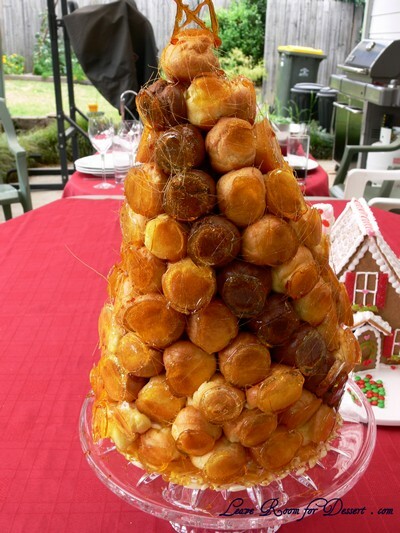 I used All Bran wheat flakes instead of the pailette feuillitine, but only 20g of it. 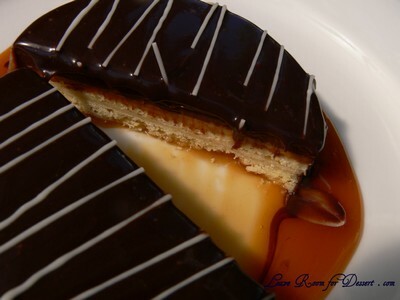 There was way too much vanilla syrup. 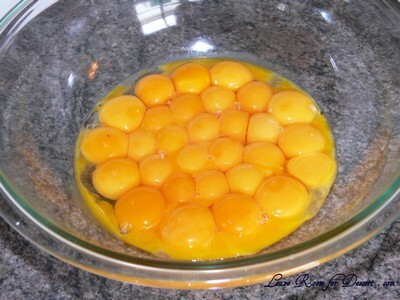 I would suggest doing 1/4 of the recipe or less. 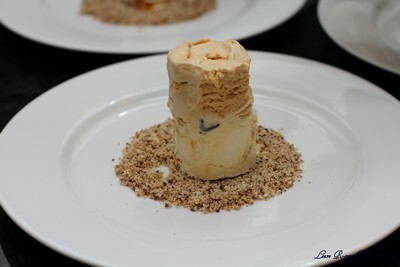 There was too much brown sugar crumble – this could have been cut by half. 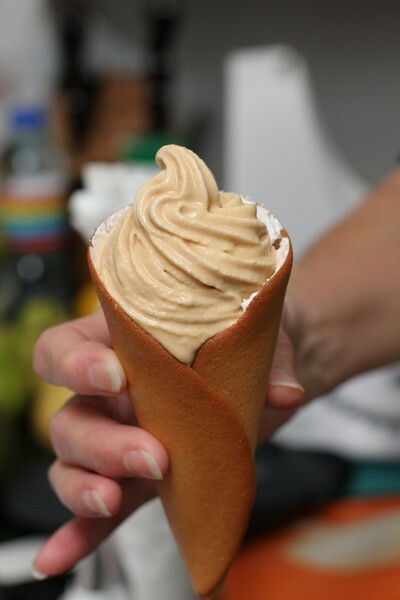 There could have been a bit more vanilla creme chantilly made, as this was a little short for me… Make 1/4-1/2 more. Please note – you will need precision scales. 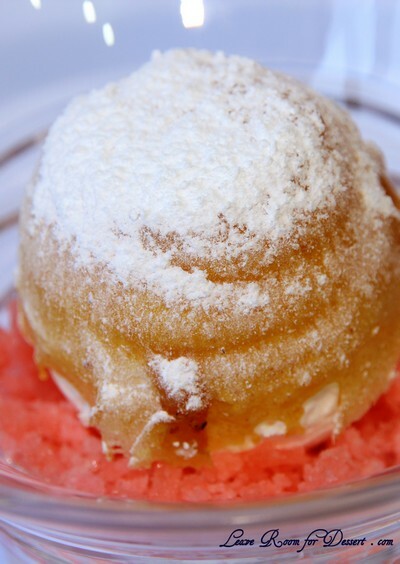 The vanilla crème chantilly, vanilla glaze, brown sugar crumble, and vanilla syrup can all be made ahead of time. 4. 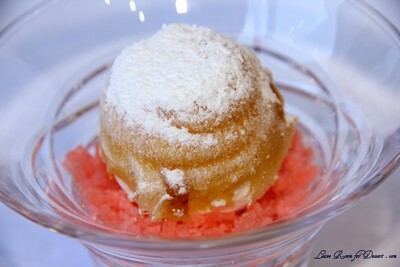 To make the vanilla crème chantilly, cut gelatine into small squares, soak in the cold water. 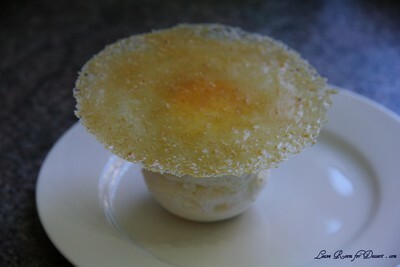 Place cream, vanilla and sugar in a saucepan and bring to the boil. 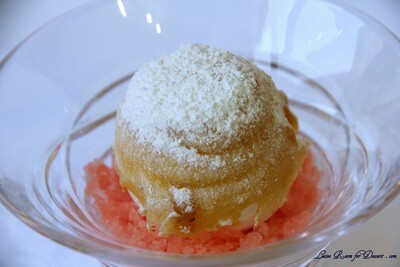 Remove from the heat and allow to cool to 70-80°C, and then stir through the gelatine and water mixture until dissolved. 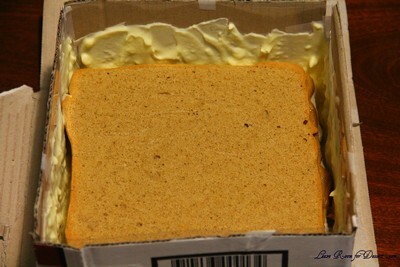 Place in a container, cover the surface with cling wrap and place in the fridge. 5. 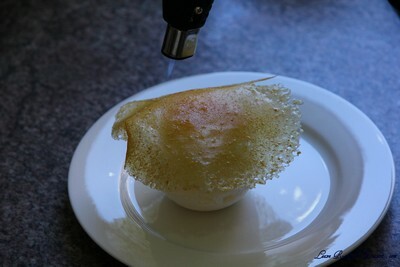 For the toasted vanilla brulee, mix yolks and sugar in a bowl by hand with a whisk until just combined. 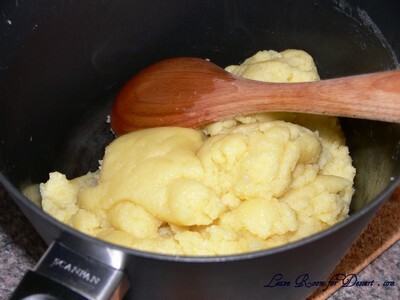 Add cream and vanilla bean to a small saucepan and bring to the boil, pour a little over the eggs while stirring, then add the remaining liquid including vanilla bean. 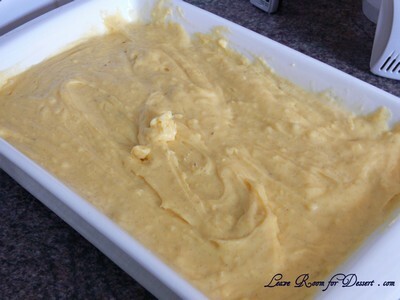 Puree with a hand blender until smooth and pour into a shallow baking tray about 25 x 38cm. 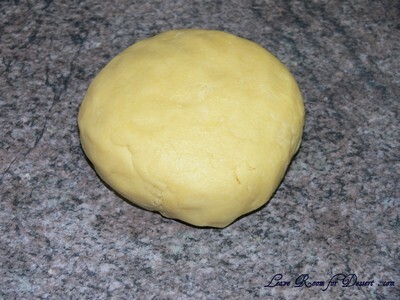 Place into the oven and cook until just set, about 10 minutes, then increase oven to 200°C and bake until it forms a golden brown crust, about 5 minutes. 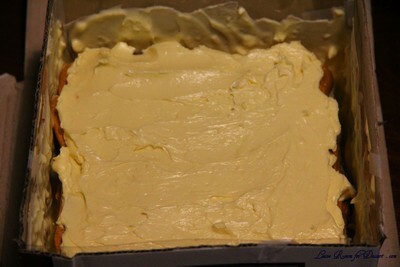 It should look slightly split when removed from the oven. 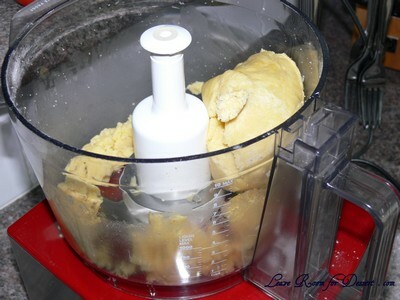 Scrape mixture into a thermomix, blender, or small food processor and blend to a smooth paste. 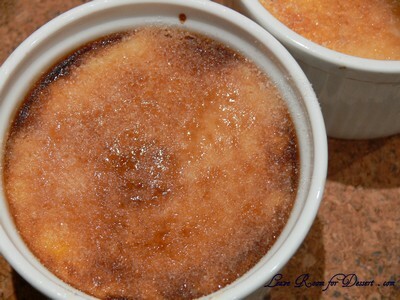 Set aside in a small bowl, covering the surface of the brulee with cling wrap so it doesn’t form a skin. 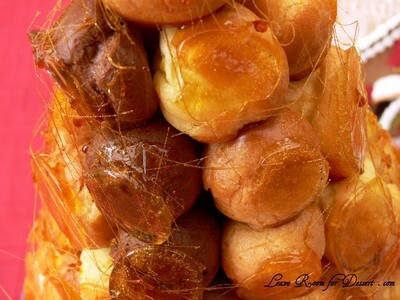 Reduce oven temperature to 160°C. 7. 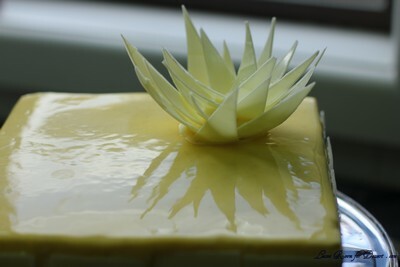 For the vanilla glaze, soak the gelatine leaves in cold water until softened. 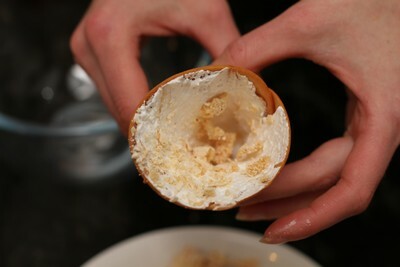 Drain, squeezing out any excess water. 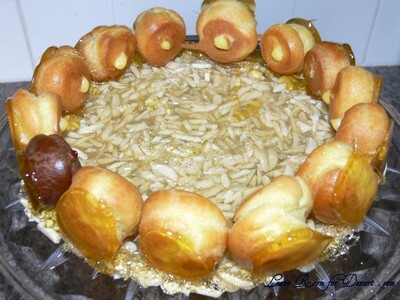 Boil glucose, water and sugar until 165°C, brushing around the sides of the saucepan with a pastry brush dipped in cold water as you go. 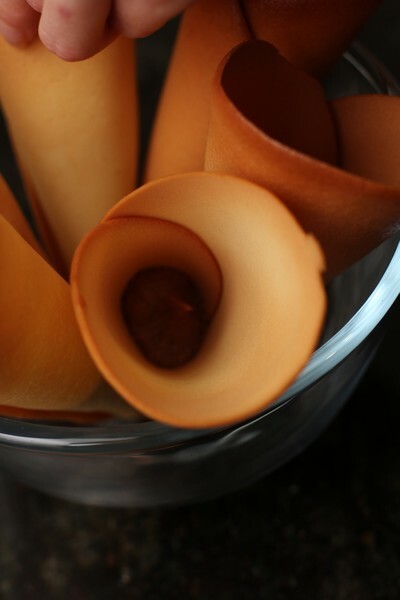 Do not allow caramel to take on any colour. 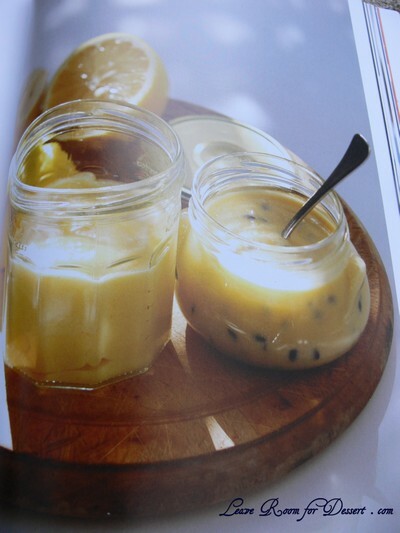 In another saucepan, bring cream and vanilla seeds to boil and then add to the sugar syrup. 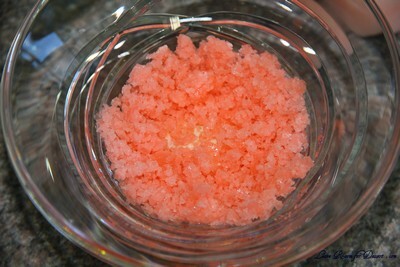 Mix through, then allow to cool to 70°C and add softened gelatine, stirring well. 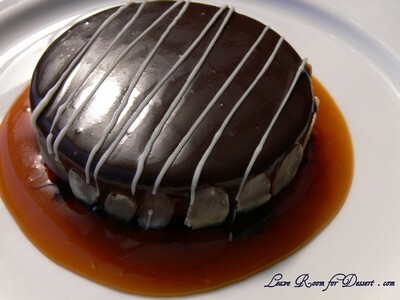 Add miroir glaze and titanium dioxide and blend well. 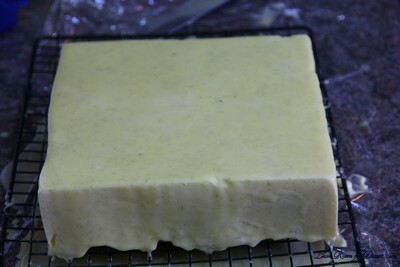 Strain, then freeze until set. 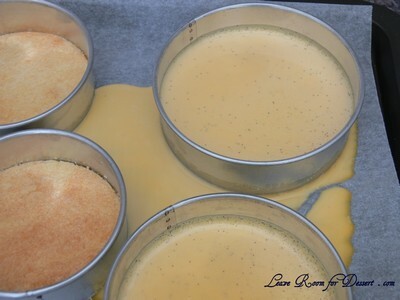 Reheat to 35°C when glazing the cake. 9. 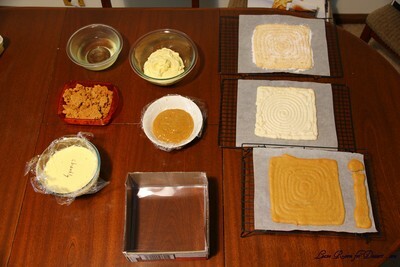 To make the brown sugar crumble, place all ingredients in an electric mixer and beat mix until dough forms. 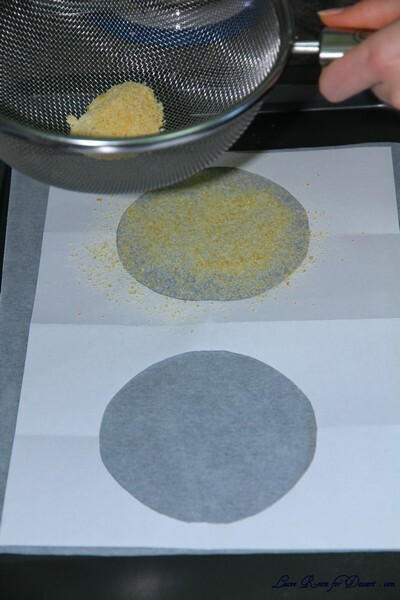 ‘Grate’ through a cooling rack with a lined baking tray sitting underneath to catch the crumble then bake in the oven for about 10 minutes until golden. 10. 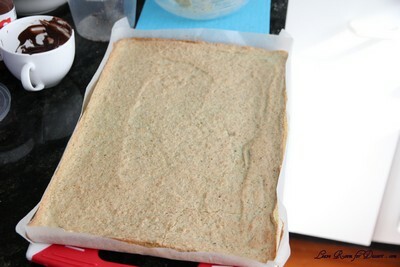 To make the vanilla macaron, draw an 18cm square on a piece of baking paper placed on a baking tray. 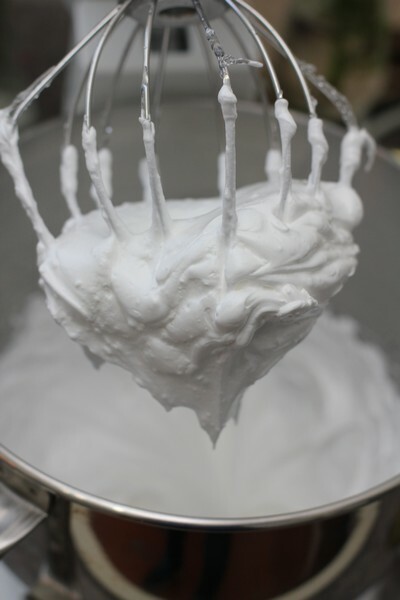 Using an electric mixer or hand beaters, whisk egg whites on high speed until soft peaks form then slowly add pure icing sugar, checking it has dissolved in between additions until you have stiff glossy peaks. 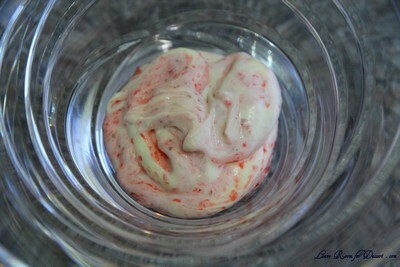 Stir through TPT with vanilla seeds. 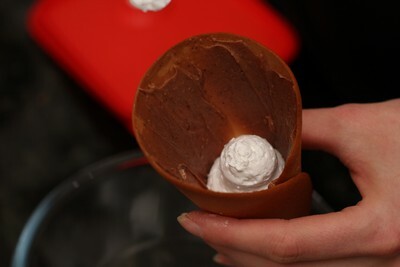 Spoon mixture into a piping bag fitted with a 5mm nozzle. Pipe into the pencilled frame using a continuous snaking motion to fill the entire square. 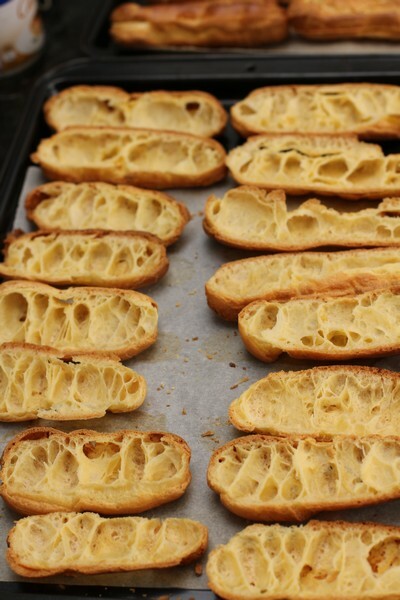 Let a skin form and then bake for 10 minutes at 160°C until golden. 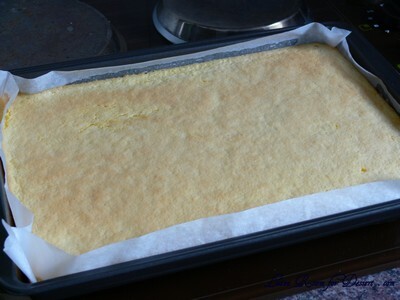 Remove from oven, slide baking paper off tray and place on kitchen bench. 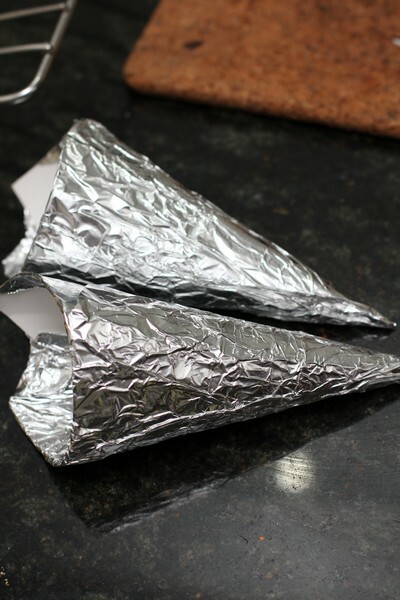 Increase oven temperature to 180°C. 11. 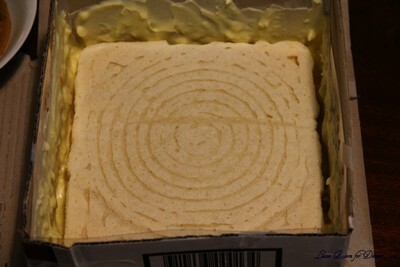 To make the vanilla dacquoise, draw an 18cm square on a piece of baking paper placed on a baking tray. 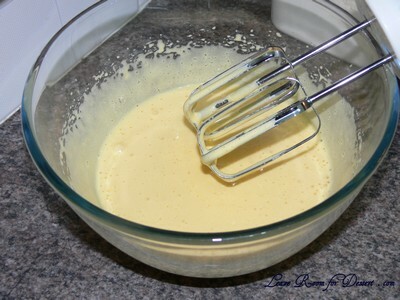 In an electric mixer fitted with whisk attachment, whisk egg whites on high speed until soft peaks form then slowly add caster sugar, beating until you have stiff glossy peaks. 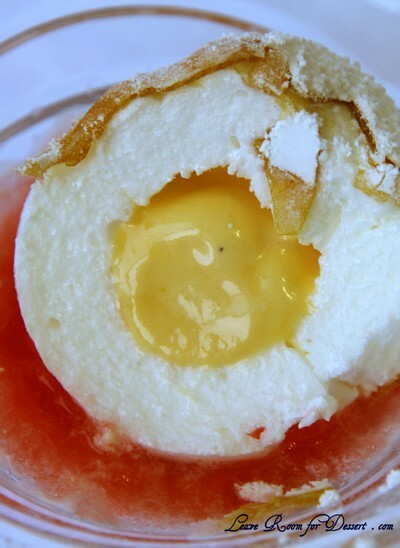 Mix almond meal with icing sugar, vanilla seeds and extract, gently fold through egg whites. 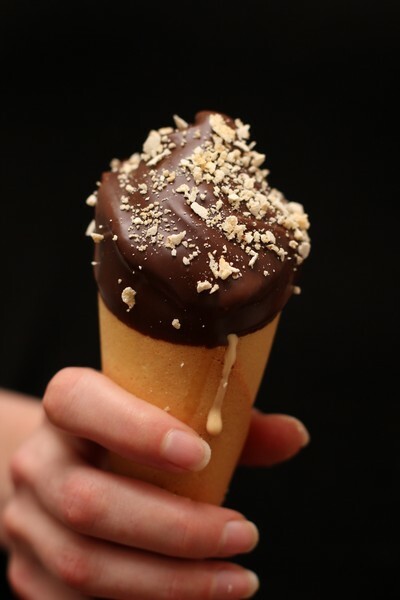 Spoon into a piping bag fitted with a 5mm nozzle. Pipe into the pencilled frame using a continuous snaking motion to fill the entire square. 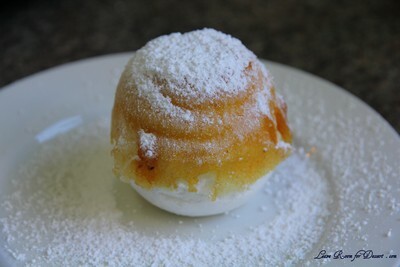 Dust with icing sugar, let sit 2 minutes then dust again. 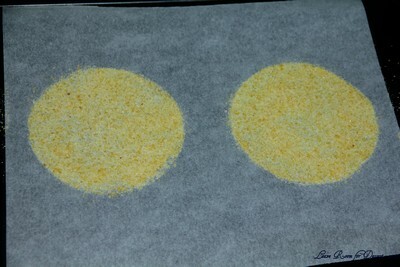 Bake at 180°C 10-12 minutes or until golden. 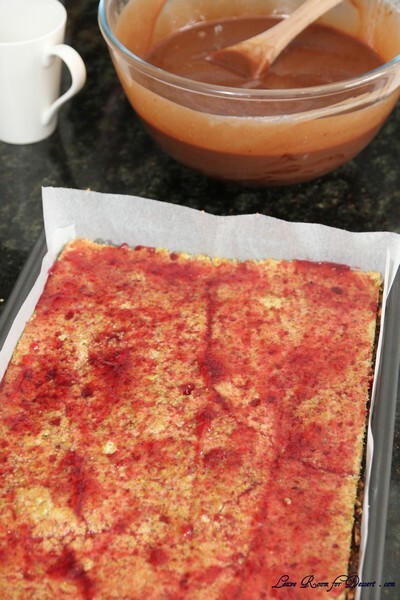 Remove from oven, slide baking paper off tray and place on kitchen bench. 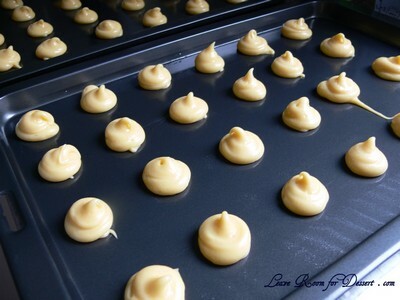 Reduce oven temperature to 160°C. 12. 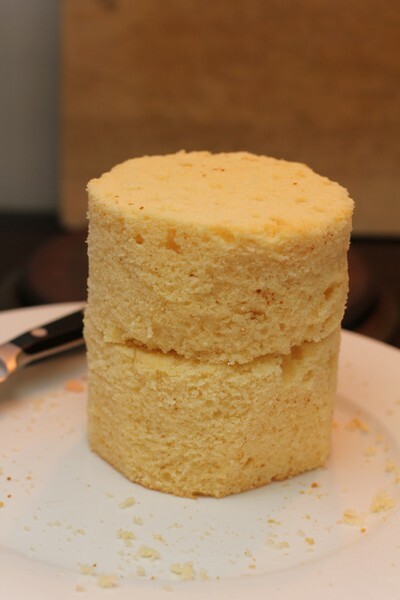 To make the vanilla chiffon cake, draw an 18cm square on a piece of baking paper placed on a baking tray. 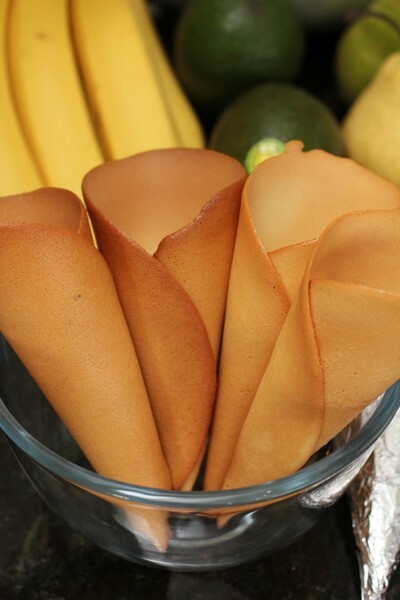 Mix flour, roasted vanilla bean powder, egg yolks, brown sugar, water and oil in a bowl until combined. 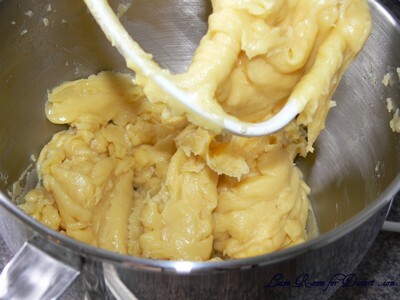 Whisk egg whites in an electric mixer on high speed until soft peaks form then slowly add the sugar and rice flour, beating until you have stiff, glossy peaks. 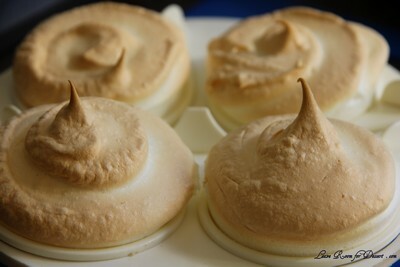 Fold the meringue through the batter gently. 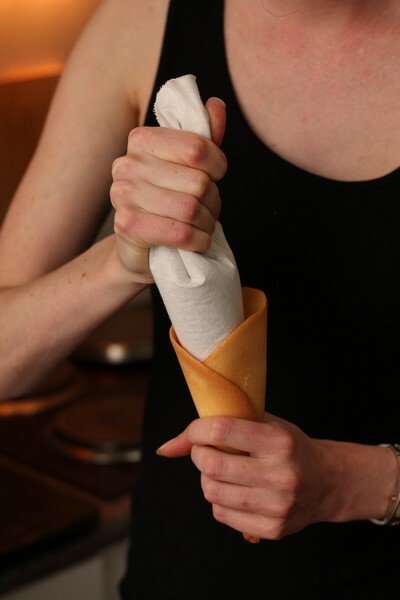 Spoon into a piping bag fitted with a 5mm nozzle. Pipe into the pencilled frame using a continuous snaking motion to fill the entire square. 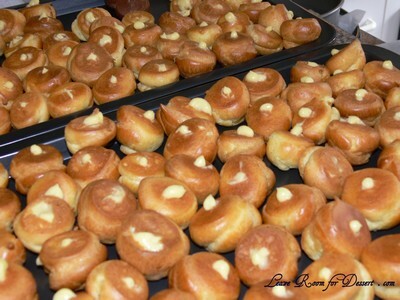 Bake in the oven set at 160°C until golden, about 15 minutes. 15. 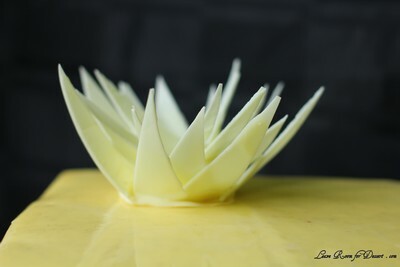 To make the white chocolate tiles and flower, bring 5cm of water in a medium saucepan to the boil, turn off the heat and sit a metal bowl with 300g of the chocolate over the water. 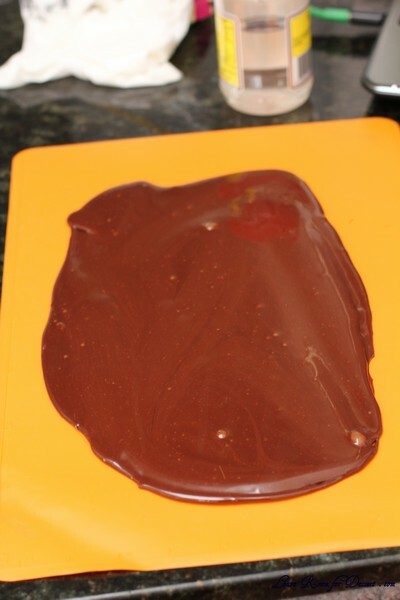 Stir until just melted then remove bowl to the bench and add about 100g more chocolate to bring the temperature down. 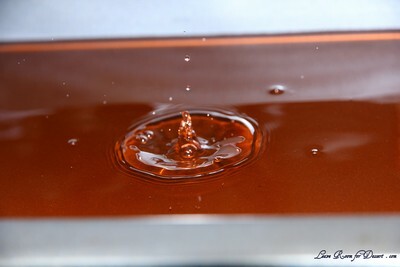 Stir vigorously until the chocolate has melted, if the chocolate does not feel cold to the touch, add the remaining 100g chocolate to bring down the temperature. 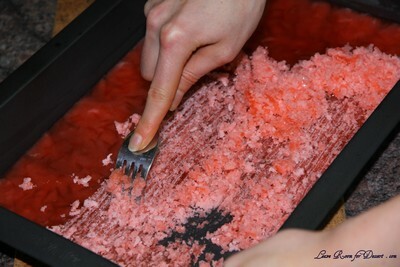 Add titanium dioxide and mix well. Keep stirring well to remove all lumps. 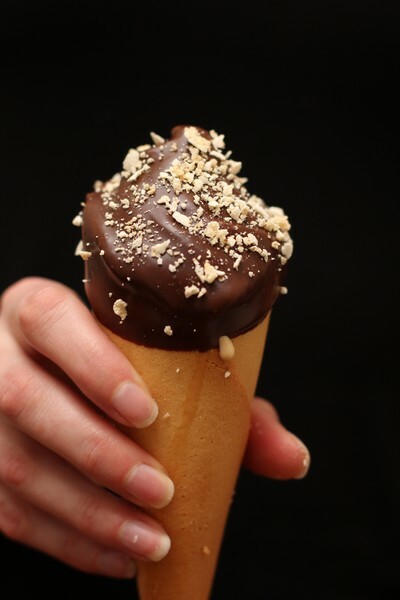 If the chocolate mixture feels cold to the touch, spread a small, thin layer onto a small piece of baking paper. 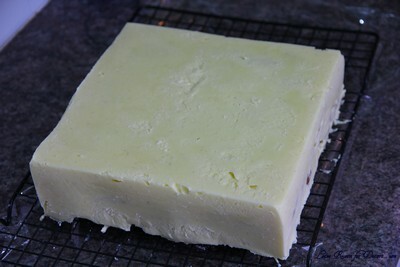 Set aside for about 3-4 minutes, it will start to harden if it is tempered correctly. 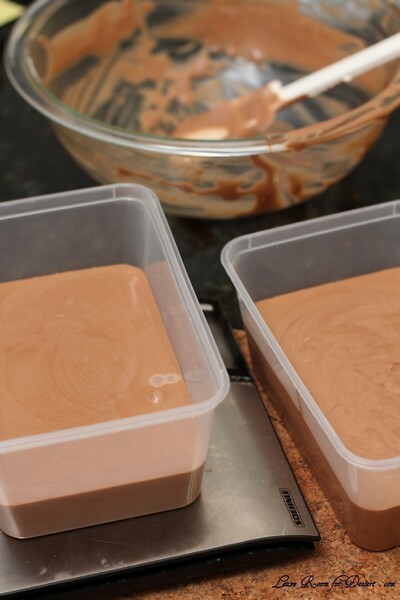 If the chocolate becomes too thick and the temperature is too low, gently reheat the mixture in the bowl set over the saucepan of steaming water, but it still needs to be cold. 17. 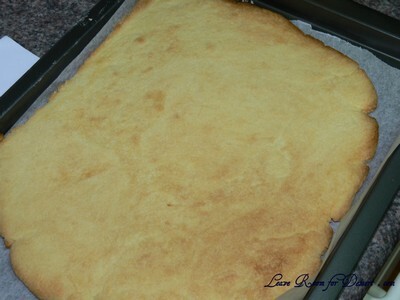 On the other sheet use a ruler to mark out 4 ½ cm squares. 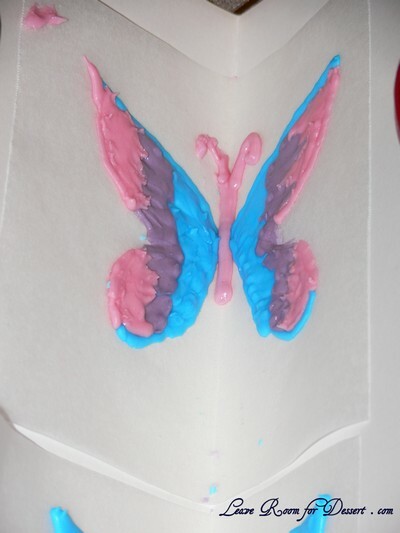 Place a piece of baking paper over the top and invert onto a board or clean work surface to completely harden. 18. 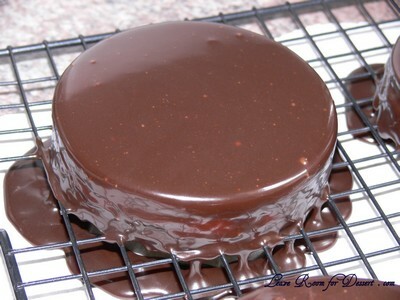 To assemble the cake, in a 20cm acetate-lined straight-sided cake tin spread a 5-10mm layer of Chantilly crème around base and sides of tin. 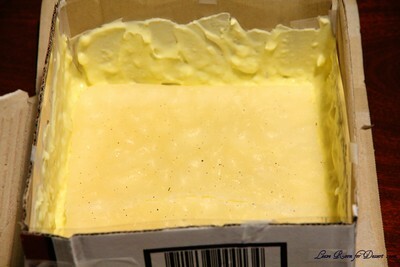 Chill in freezer until firm. 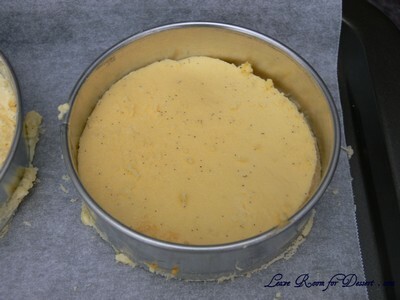 Lay vanilla gel at the base of the tin and smear with a tiny amount of brulee so that macaron layer will stick to the gel. 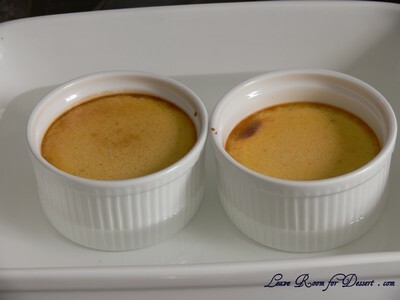 Lay macaron layer over brulee smear. 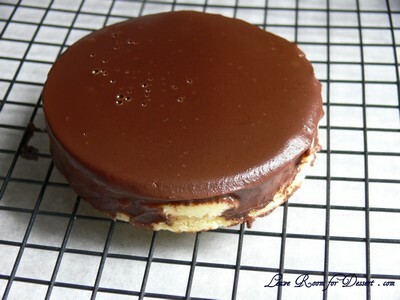 Cover macaron layer with an even 5mm of brulee. 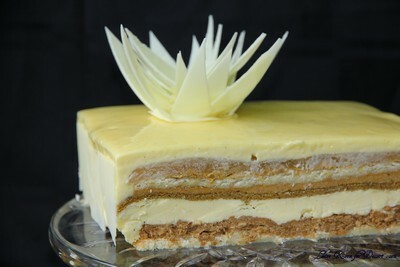 Place chiffon cake over brulee layer. 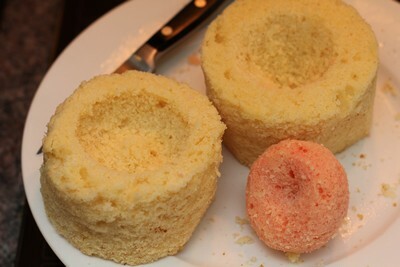 Brush chiffon cake with a little vanilla syrup. 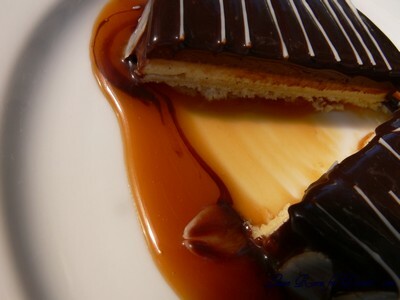 Spread a 5mm layer of ganache over chiffon cake. 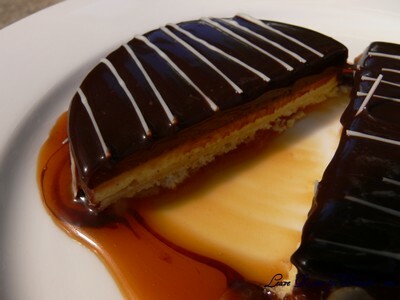 Invert the dacquoise/crunch layers so the vanilla almond crunch layer is sandwiched next to the ganache and the dacquoise is facing up. 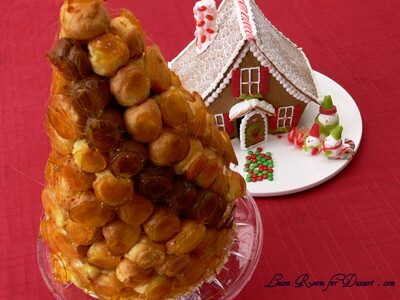 The dacquoise will become the base of the cake. 20. 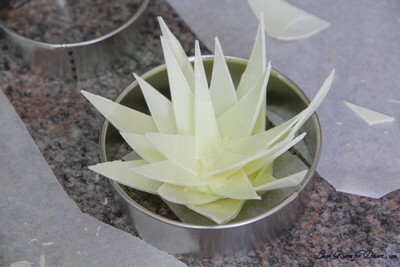 To assemble the flower spread a small amount of melted tempered chocolate onto a small piece of baking paper and use this as a base to stick the petals, starting in the centre, working outwards to create a flower. 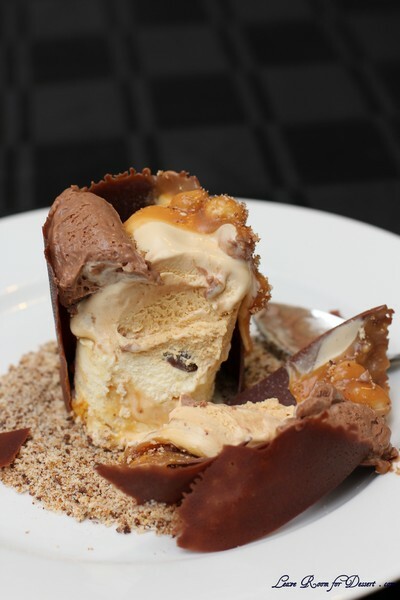 Using choco-cool will help ‘fix’ the petals in place and firm up the chocolate base. 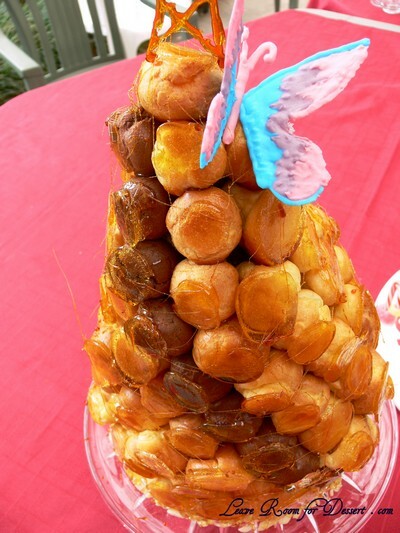 Place chocolate flower on top of the cake and decorate the top of the cake with a few sugar spheres. 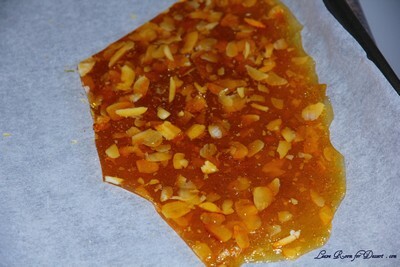 Roast the almonds for 5-10mins at 160°C. 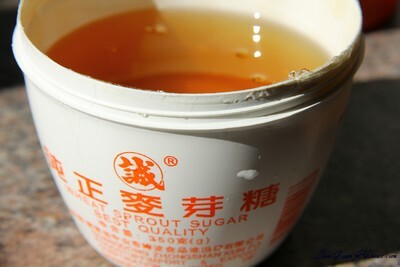 Heat the sugar on high, until the sugar starts browning around the outside. 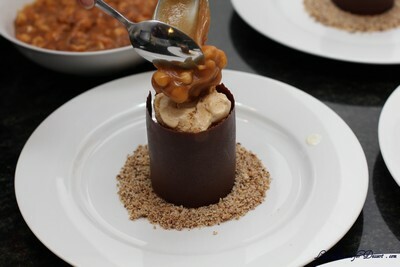 Gently stir in the un-melted sugar, until it is all caramelised in colour. Pour over the roasted almonds. 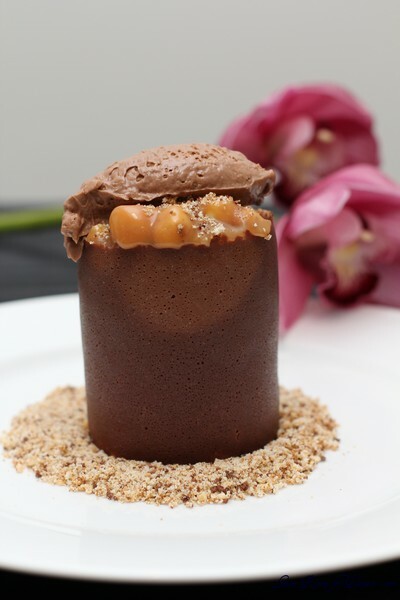 Allow to cool, then blend in a food processor. 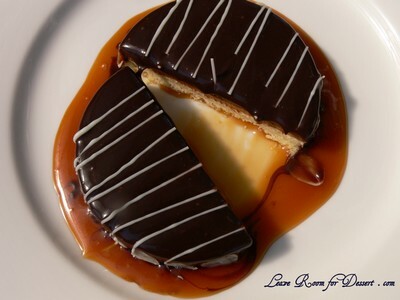 (It won’t go into the same paste texture as the almond paste above). 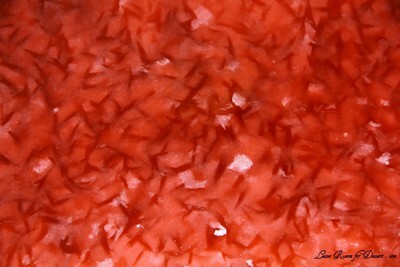 Place the gelatine leaves into cold water to soak for 5 minutes. 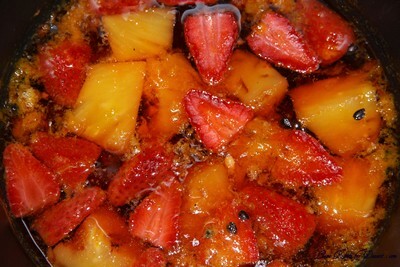 Heat the water, caster sugar and glucose in a small saucepan until it starts to boil. 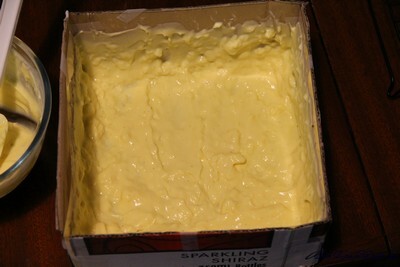 Remove from heat and let it cool to 70°C. 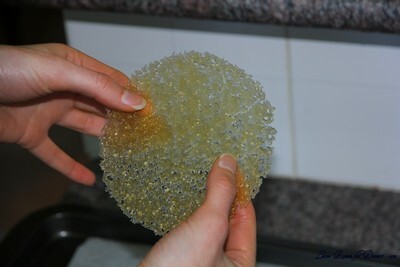 Squeeze excess water from gelatine leaves, place in saucepan and stir until dissolved. 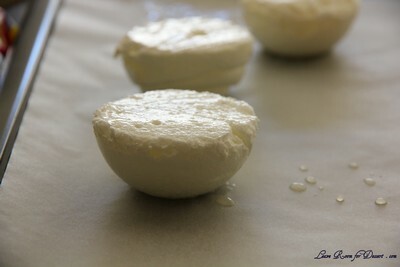 Transfer to a bowl and allow to cool slightly before storing in the fridge. 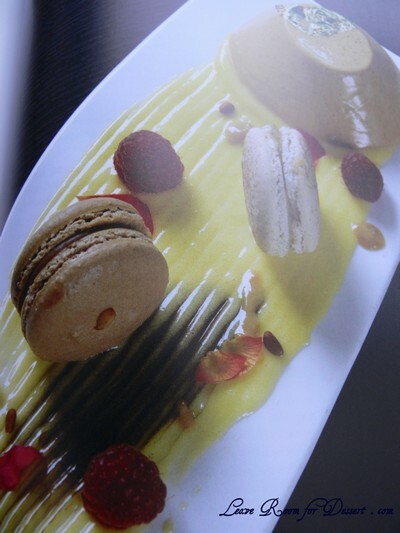 That’s why I was so excited to be receiving a copy of the MasterChef Cookbook! (Thanks to Random House for sending me the book). 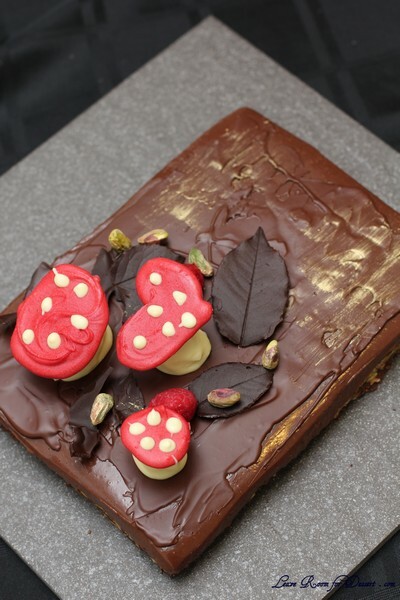 I know that many of the recipes can be found on their website, but how can people resist having the recipes in their bookshelf – along with some of the recipes, tips and step-throughs not included on the website. (My love of cookbooks will probably see me getting some new ones as Christmas presents this year 🙂 ). 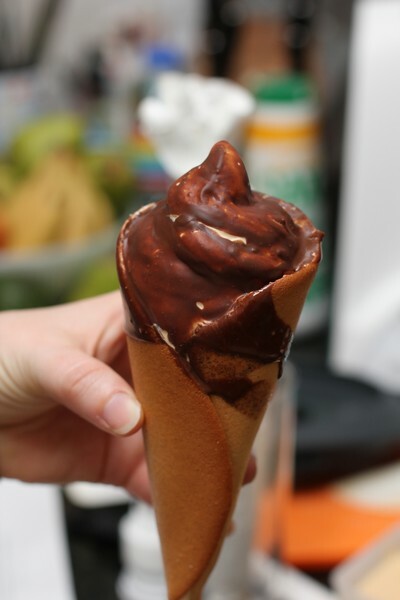 One of the recipes I was looking forward to was the ice cream recipe – I remember how much people loved the silky ice cream, and the method seemed easy enough. 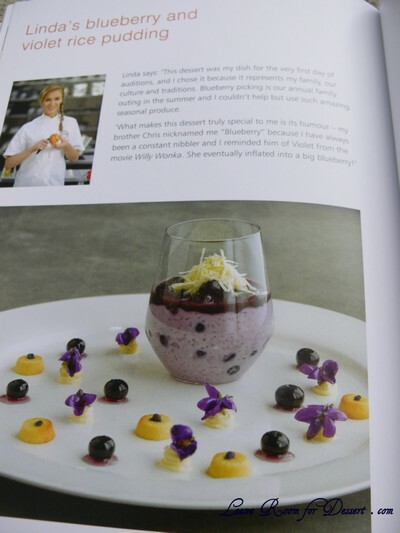 One recipe most people won’t remember, as it was made very early in the series, was Linda’s blueberry and violet rice pudding. 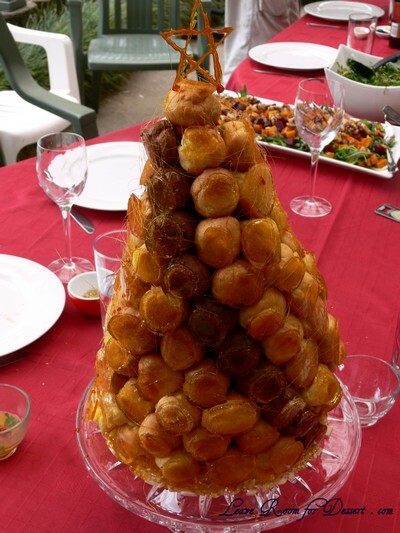 I remember it being presented to the judges when contestants were trying to get past the first round. 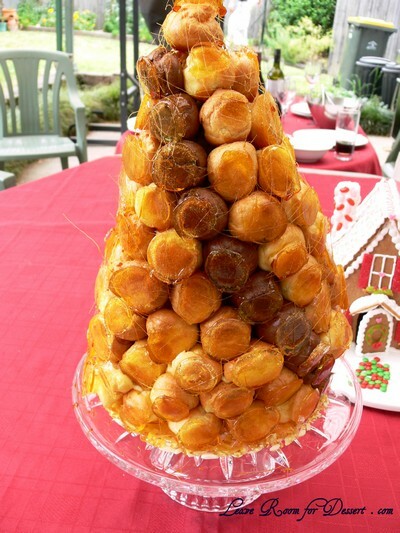 It’s just so pretty! 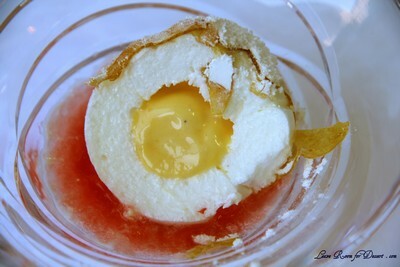 It’s on my list, and I’m happy to have the recipe. 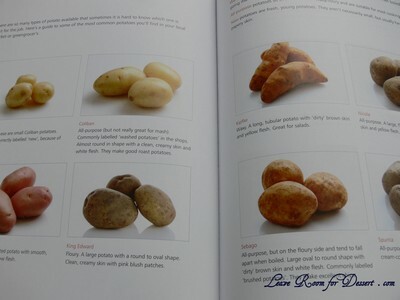 The book itself is around 260 pages and covers a lot of the basics for cooking. 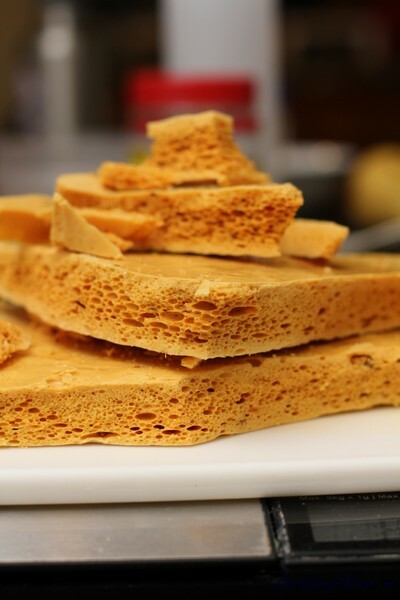 Some of the tips include how long dry, wet, fresh and frozen goods should be kept, knife skills, sauces and stocks, different types of potatoes and onions and their uses, as well as a few step-by-step instructions, where it’s needed. 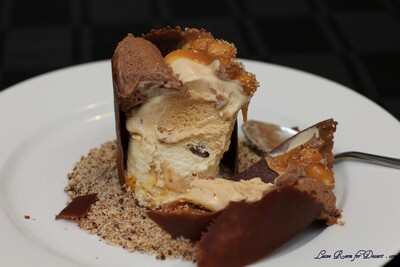 There are photos of all the contestants, reminding you who made the dish, photos of the action, the judges and the celebrity chefs. 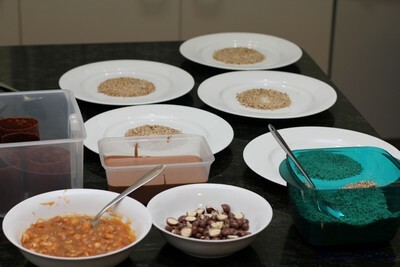 In front of many of the recipes are contestants views and thoughts of the dish, their inspiration or history behind it or just a reminder of where the recipe fitted into the competition. 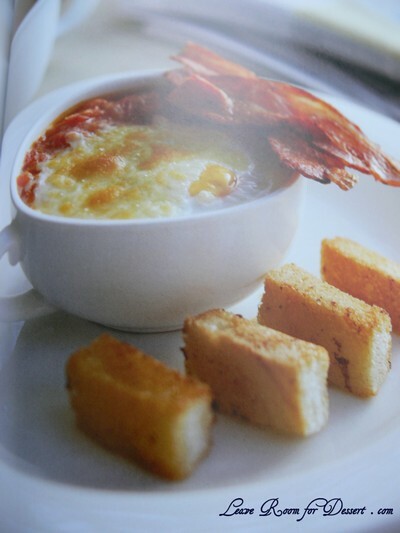 I love the large photos (almost one opposite each recipe) and I think this helps cooks make a quick decision as to whether they would be interested in making the dish, or at least how the dish should look once finished. 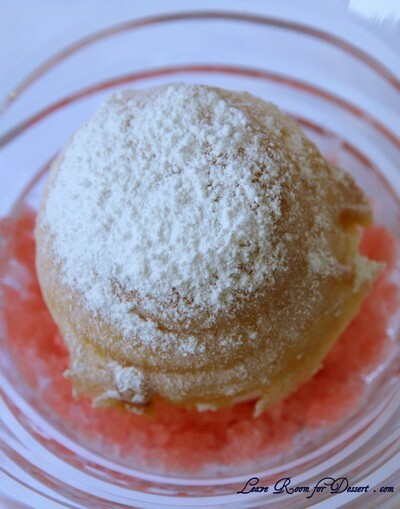 I would have liked to have seen a few other recipes in there, such as the chocolate and jaffa souffle which looked gorgeous, buttermilk hot cakes with candied apples and Julia’s baked ricotta (the recipe that got her through past the first round). Overall, I think this book is presented in a great way and would appeal to both inexperienced and veteran cooks alike, and to anyone who likes a challenge! 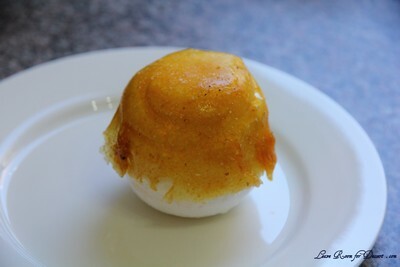 I decided I would finally have to make the lemon tasting plate seen on one of the Masterclasses on MasterChef. 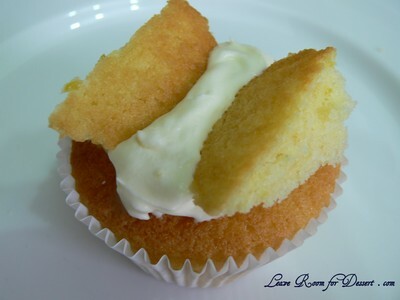 This included Julie’s Lemon Diva Cupcakes, lemon curd, lemon creme fraiche and lemon vanilla syrup. 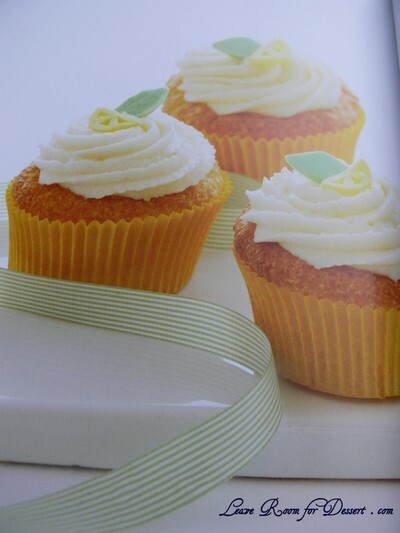 The book has recipes for both the lemon curd and lemon cupcakes, although I just made up my own lemon cream to go with it – the result, a gorgeous blend of lemon flavours. 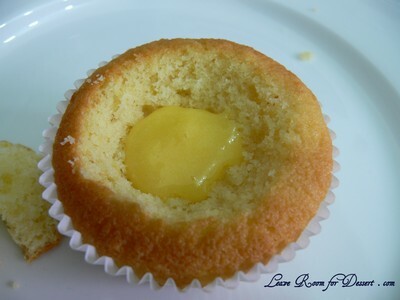 The lemon cupcakes were lovely and light (these would also be great as plain vanilla cupcakes) and worked well with the slight tang of the lemon curd and the sweetness of the lemon cream. 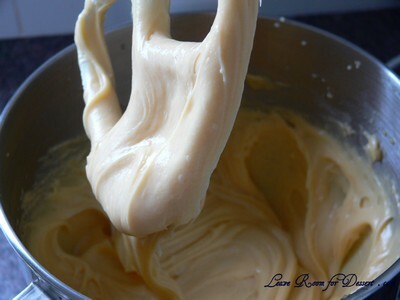 Beat all ingredients together in a medium sized bowl, until cream becomes thick and whipped. 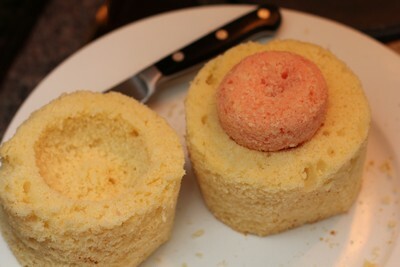 Cut a shallow hole out of the top of the cupcakes (cut this piece in half). 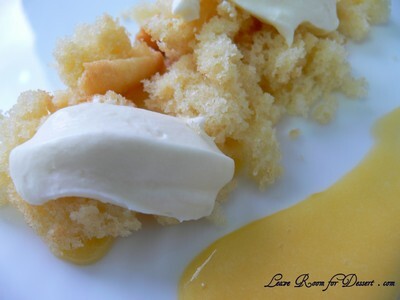 Place a teaspoon of lemon curd in the bottom of the well and then top with some lemon cream. 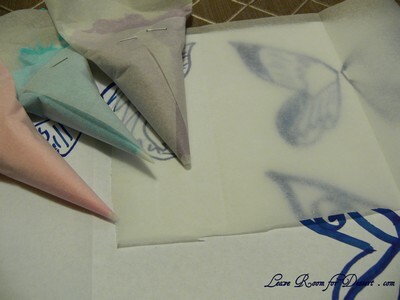 Place the cut out halves into cream, with the curved sides facing one another to look like butterflies. 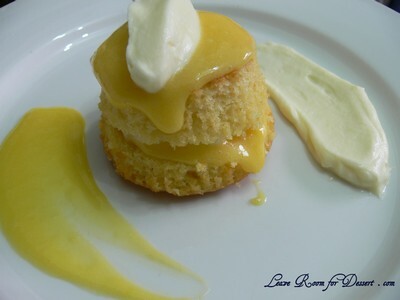 Smear some lemon curd onto a plate. 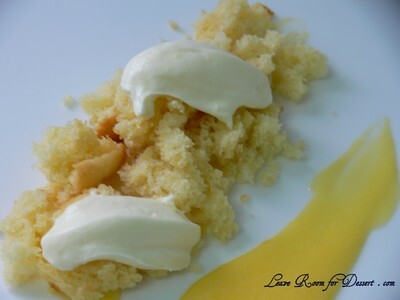 Crumble over a lemon cupcake and quenelle the lemon cream and place on top.